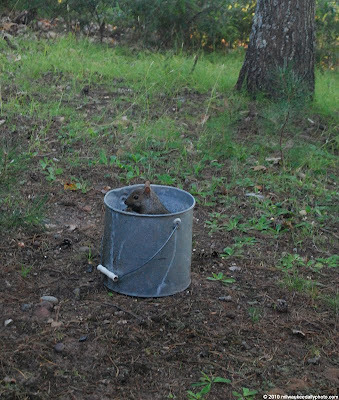 Even up in the North Woods, the squirrels able to get into trouble. This guy was eating his way out of a bucket of corn meant for some deer. I love Squirrels! Lucky shot! Have a great weekend!